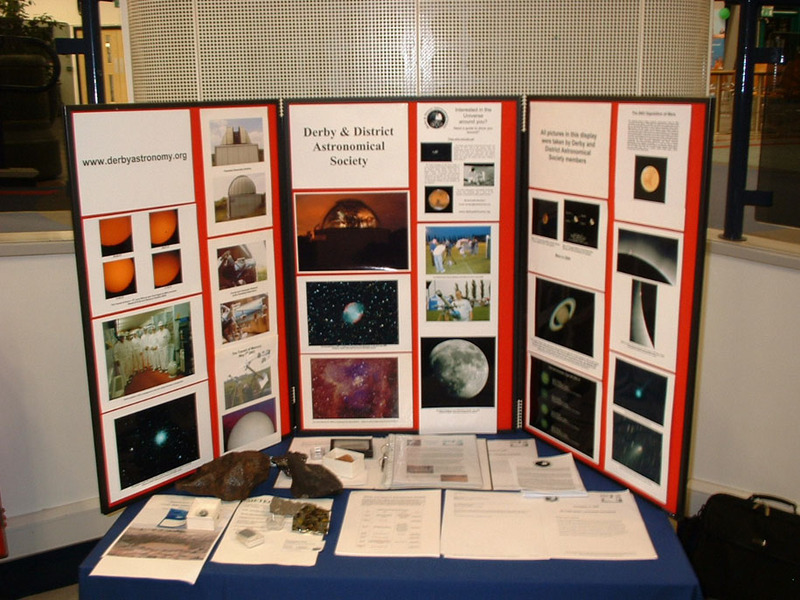 The 2008 Flamsteed Lecture was held on the 15th October 2008 at the University of Derby Kedleston Road campus. Cosmologist Professor Peter Coles of Cardiff University gave an excellent lecture entitled The Cosmic Web. His talk was laced with humorous anecdotes and the subject well explained for lay person and amateur astronomer alike. There were some stunning images and animations of the large scale structure of the universe and specifically the distribution of galaxies within it. As usual the Society had a display in the University atrium which attendees were able to visit during the post lecture reception. The following photograph by Anthony Southwell shows our stand.